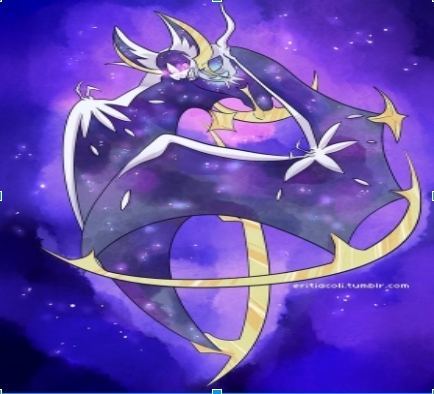 Lunala. And it's a Legendary Pokemon, not an Ultra Beast. sorry it would not let me post it but it is the surrounding this question. Just think of Solgaleo and Lunala like Reshiram and Zekrom.